Dr. Swati Mehta (SM), from the Icahn School of Medicine at Mount Sinai (New York, New York), discusses her abstract for the National Kidney Foundation’s 2016 Spring Clinical Meetings (SCM16), Incidence of Dialysis Requiring Acute Kidney Injury in Atrial Fibrillation: A National Perspective, with Dr. Kenar Jhaveri, AJKD Blog Editor. 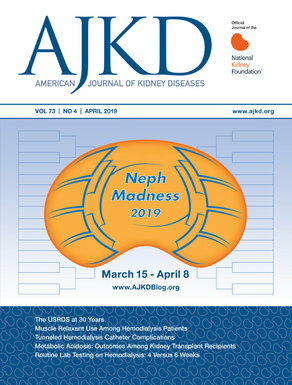 SM: We utilized the Nationwide Inpatient Sample (NIS) database, which is a large, nationally representative database of admissions and discharges throughout the country, to examine the incidence and risk factors of acute kidney injury requiring dialysis (AKI-D) in patients who were hospitalized with a primary diagnosis of atrial fibrillation (AF). We decided to focus on AKI-D and not all AKI, considering the validity of administrative codes for dialysis. We found that of 3,804,555 hospitalizations with a primary diagnosis of AF, 3,918 (0.1%) were complicated with AKI-D. The incidence of AKI-D in the setting of hospitalization for AF has tripled over the last decade from 0.55/1,000 hospitalizations in 2002 to 1.50/1,000 hospitalizations in 2012, but this incidence was explained by changes in demographics and an increase in comorbidities. In this study, we found that race and comorbidities, including diabetes, chronic kidney disease, sepsis, and heart failure, were significant predictors of AKI-D. Finally, AKI-D was associated with an in-hospital mortality (adjusted odds ratio [aOR], 22.1; 95% CI, 17.6-27.58) and an increased adverse discharge (aOR, 10.11; 95% CI 3.27-31.26). AJKDblog: What was the prevalence of CKD in your cohort of patients? In addition, how many patients received contrast agents for workup for AF? SM: The overall prevalence of CKD in AF patients was 6.5% (247,396). However, in hospitalizations for AKI-D, the proportion of patients with CKD was higher at 25.29% (991). Because we used an administrative database, we could not capture information on contrast agents. SM: We plan to explore this early finding using more granular data from electronic health records in health care systems. Ultimately, the goal would be to have a risk score for identification and risk stratification of patients with AF so that early preventative efforts can be implemented.